CAESES®‘ foundation is a powerful and flexible parametric 3D modeler. It is your perfect choice if you need reliable and efficient geometry models for conducting automated studies with your simulation tools. 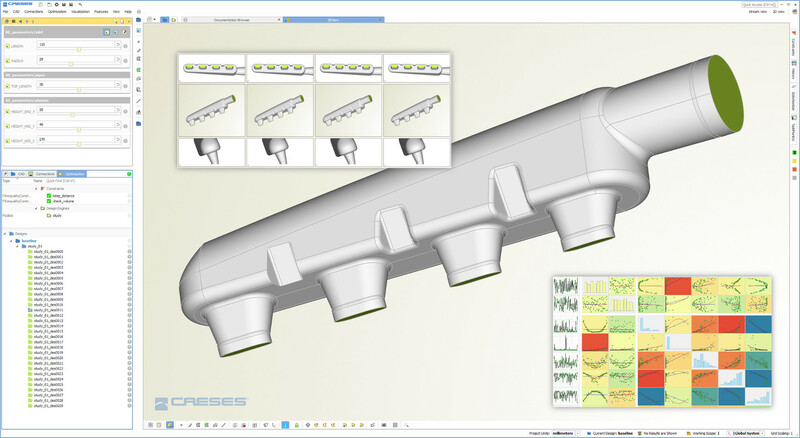 Unlike traditional CAD tools, the main focus of CAESES® is the smart design and robust variation of complex flow-exposed surfaces – no matter if you cope with internal or external flows. Through the dependency-based modeling approach the geometry will never break or fail to regenerate. CAESES® is a generalized solution for any product that needs to be improved and optimized in terms of the flow or even the structural performance. Examples are volutes, pumps, ship hulls, aircraft wings, arbitrarily shaped ducts, powertrain components, casings, mixers, turbomachinery blades, fans, turbines, etc. Watch this very short CAESES® video which shows how geometry variables are changed to modify the shape. 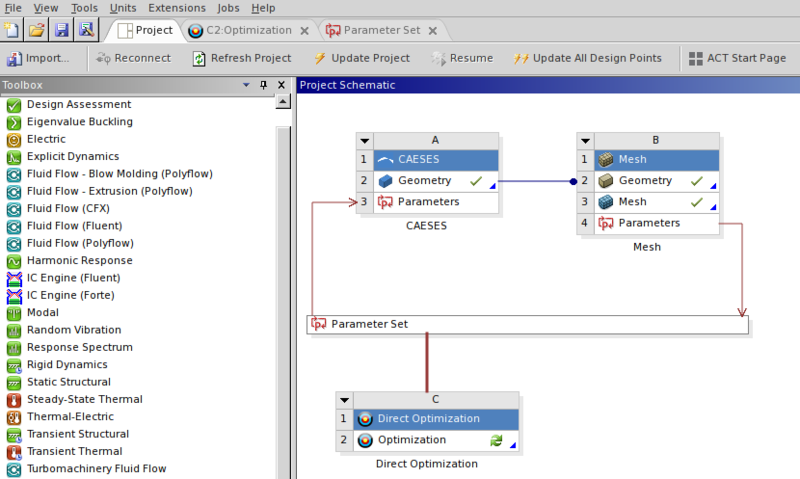 The design variables of a model are listed in a separate editor, and the values are changed through convenient sliders with lower and upper bounds. CAESES® gives you powerful surface generation tools to create an efficient variable geometry model for optimization purposes. These surface techniques can incorporate all your flow-related ideas so that you can make use of your experience and domain expertise. If your existing CAD system has issues with the automated generation of complex solids, try out CAESES®. It starts where other systems reach their limitation with automation! CAESES® models automatically fulfill all required geometry constraints, such as manufacturing restrictions, packaging, cross-sectional areas, volumes, centroids, A/R ratios, etc. 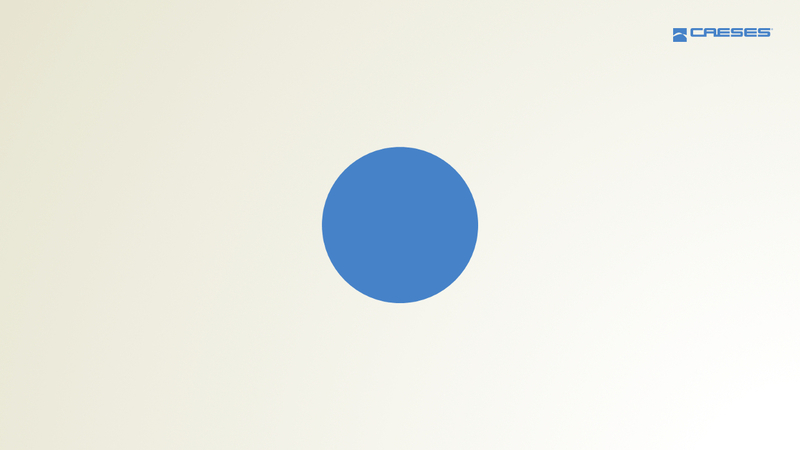 With this, you make sure that only feasible designs are created during automated studies. For this purpose, CAESES® offers the use of optimization methods within the scripting environment so that any constraint can be realized, for any application. With a smarter and robust surface parameterization, you can drastically reduce the manual work and also bring down your total numbers of free variables, which saves you time within simulation-driven shape optimizations. CAESES® users can save up to several months through benefiting from the right geometry representation (read this case study). By using CAESES®, we could massively bring down our design cycle from several months to only a few weeks. 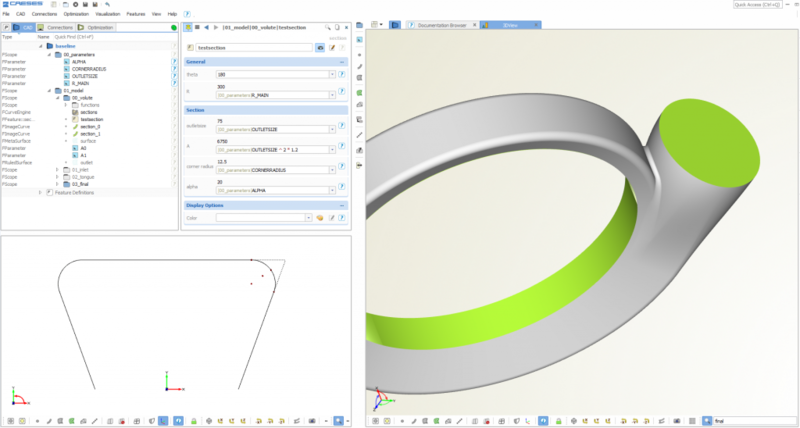 You can use CAESES® as your primary CAD engine, or as an upfront CAD tool in a collaborative and integrated way with traditional design and production CAD (e.g. CATIA, NX, Pro/E, SolidWorks). These traditional tools, although powerful, are detail-oriented and encompass features which may not be relevant for simulation. Most important, CAESES® has its full focus on robustly automating the geometry generation, for which a dependency-based model hierarchy is used. Use a lightweight and flexible geometry model for automated processes in the pre-CAD stage. The curve and surface modeling capabilities are based on a powerful object-oriented approach which is handed over to you in a great and intuitive graphical user interface. Even though most users work in this graphical user interface, each design step can be fully scripted and automated. CAESES® also provides geometry and mesh morphing capabilities. Simulation gets applied in many different engineering fields. The generalized geometry capabilities of CAESES® are not limited to a specific industry. There are also add-ons available that extend the functionality by industry-specific tools such as parametric blade and ship hull design. Check the industry-specific information for more details in your engineering context. CAESES® provides a specialized set of design capabilities to create and optimize any kinds of ship vessels. See the marine section for more information. For maritime propeller design, please see the marine section. 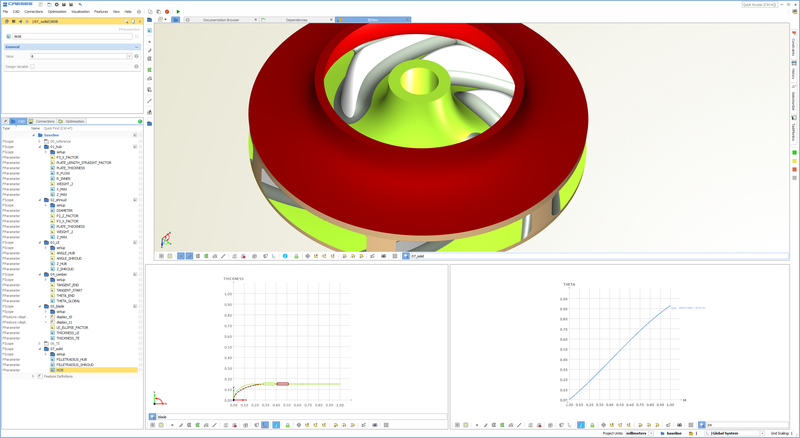 Information about the parametric design of turbomachinery and pump blades can be found in this section. CAESES® provides specialized capabilities for volute modeling, as given in pumps or turbochargers. By combining the blade and volute design capabilities of CAESES®, you have everything in place for high-end pump design and optimization. 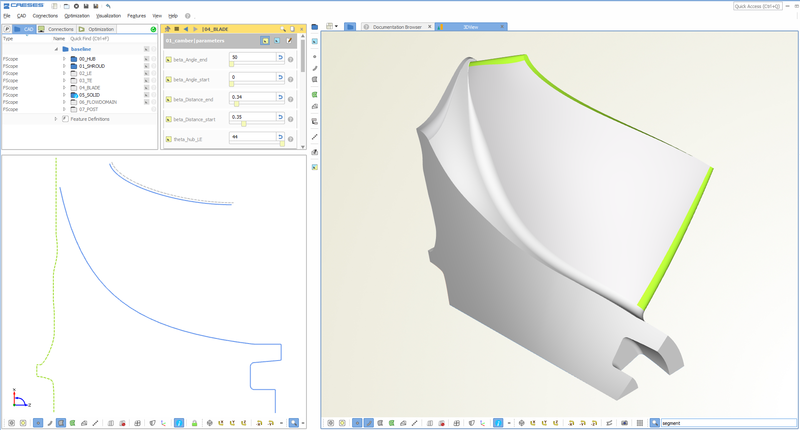 For ANSYS users, there is a CAESES® add-in available for the ANSYS Workbench, to run the CAESES® geometry models in the background of the workbench. 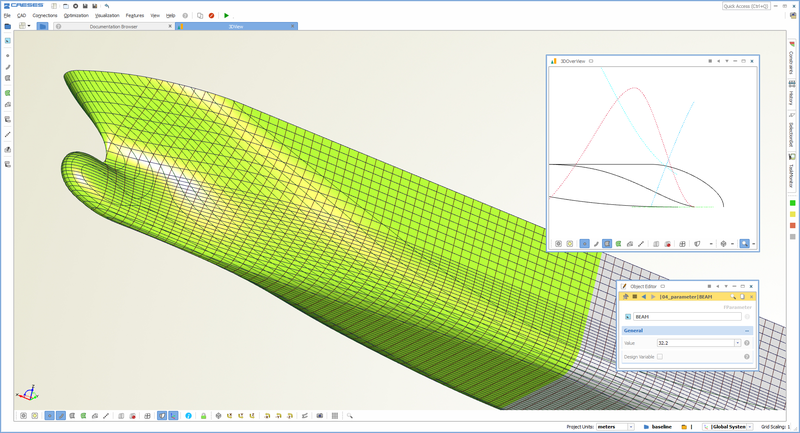 With this add-in, you can control and vary all the design variables from within the ANSYS Workbench user interface, without jumping back to the CAESES® user interface. More information can be found in the article “Shape Optimization in ANSYS with CAESES“.